Have you wanted to do a runDisney event (and get one of those sweet medals), but traveling to a Disney property for a run is not possible? Then the runDisney Virtual Running Shorts are for you! 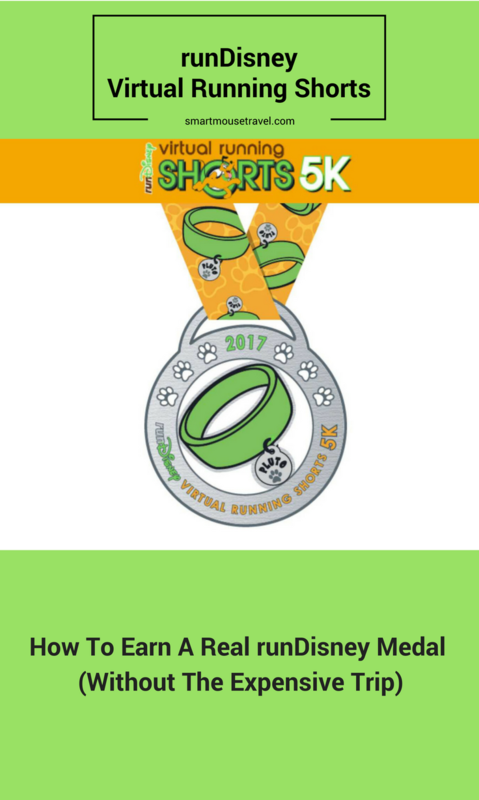 The Virtual Running Shorts series is a set of at-home 5Ks that allow you to complete your runDisney event at your convenience. What Are The Virtual Running Shorts? This is a unique runDisney event where you can register for an at home 5K for either June, July or August and get one of the special runDisney event medals. Each month has a different medal, so there is an option to register for the series of three events and get all available medals. Go to the Virtual Running Shorts runDisney page. You will be redirected to another website that processes your registration. Near the top of the page you will find the available race options. When registration opened you could choose June, July, August or the entire series. (As of publication date July and August races are still available). Individual events are $40 each or $142 for the series of three. Follow the prompts to make an active.com account and finish your registration. Parents can register minor children, but every participant over 18 years old must have their own account. Participants must be age 5 or older to participate for a medal. The beauty of this event is it can be done at your convenience. This flexibility allowed us to find a free day with favorable weather for the four of us to complete this multi-generational 5K together. We had decided as a family to make this a leisurely stroll and just enjoy doing this 5K together. Our walk took us through a couple of neighborhoods while we chatted and laughed. 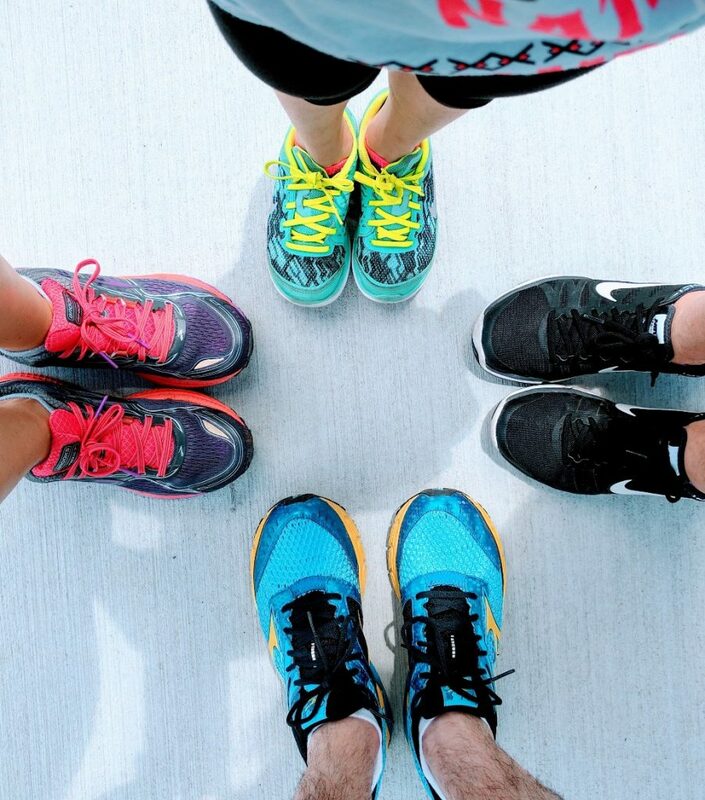 Are you a real runner? Then by all means feel free to run your 5K! How Do I Get My Medals? I have to be honest – this stumped me. Nowhere on the runDisney site did it say how to actually obtain your medal. I looked high and low online and still couldn’t find the answer so I checked with the experts – runDisney customer service. Here’s the scoop. Once you register for the event, runDisney will assume that you complete the event(s) and send you your medal(s) without any additional action from you. According to runDisney customer service, medals will be shipped and are likely to arrive to U.S. addresses 30 days after the race period is over. If you are interested in having a finisher’s certificate you can enter your information and obtain one to print at home. Prior to your event you should receive an email “It’s virtually race time” from runDisney. It will have a reminder and some information about the race including how to report your finishing time. Didn’t get the email? Don’t worry, I didn’t either. Go to to the Virtual Running Shorts website and click on the “Runner Info” tab. At the bottom of the Runner Info page you will find “Finisher Certificates”. There will be a link you can click on labeled “Download your finisher certificate”. You will be redirected to another website. Here you enter your email address, full name, date of birth, how long it took to finish the 5K, and answer a couple of questions. Once you have completed the form click submit and the certificate is processed. Now you can view your finisher certificates by entering your email address, as well as save them for posterity. I have wanted to do a runDisney event for a while but have never been able to make it work. This was a fun way to get my first runDisney medal on my own time, with my family, and without the expense of a trip to Disney. The Virtual Running Shorts encouraged the four of us to get out and get moving on a beautiful summer day. We had a really good time and can’t wait to get our medals in the mail! Wish me luck, and please give me any tips you have for an in-person runDisney event. I will be participating in my first on-property event, the Star Wars Dark Side 5K, in April 2018! Do you need help planning your Disney World trip? Check out other Disney World tips and tricks in my Disney World Guides. Previous Post:What Is The Best Age For A First Trip To Disney? This is so cool! i cant plan far enough in advance for a run disney event (I guess I will have to if I want to do one)!